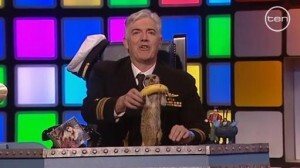 Talkin’ ‘Bout Your Generation (Tayg) – Shaun Micallef Online! 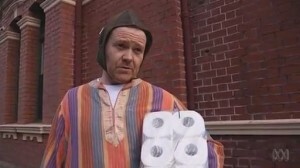 Latest news and information on Australia's greatest writer/performer/comedian. TAYG will be back for 2019! After a come back last year on a new network, with new team captains (but thankfully the same host) Talkin’ ‘Bout Your Generation (MK2) will return to our screens for Series 2 later in the year. Filming is happening during February and March. 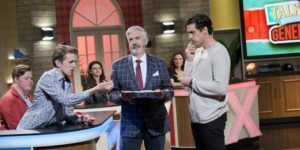 The quiz show battles celebrities from different generations against each other, with questions and physical challenges, to decide who is the greatest generation (of the week). In the meantime, you can watch Series 1 online. 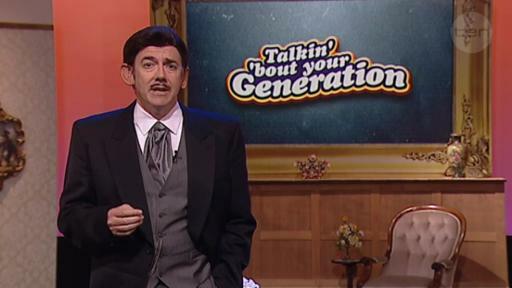 It’s been six years, but next Monday, Shaun returns as host to one of the most popular TV shows he’s ever been a part of: Talkin’ ‘Bout Your Generation. But this time, it’s on a new television station with three new team captains. Watch the promo. TAYG coming back is a bit of a surprise. Were you surprised that you got back involved? I wasn’t really interested in doing it without the original cast; that was the point, that the reunion would be fun. Then I helped out with the casting, because they were going to do it anyway, and they did the captains and were looking for a host, so I said I’d come in, and it was quite fun, in a different way. It’s quite different, as you’d expect. When it was Amanda, Charlie and Josh, they were new, and I was new, and we were getting to know each other, and getting used to it, and that created a really interesting dynamic. This new incarnation, I know the people a bit more, and in a different way. It’s kind of the same ingredients, but it’s being used to make a pudding instead of a risotto – it’s quite strange. Do you think it’s something you might continue to revisit? We’ll see how it goes, it’s not really my decision – it was fun to do though, it was great. But if it works out well, and is continued in some form, would you be interested? I wouldn’t say no, I don’t say no to anything. Even since Talkin’ ‘Bout Your Generation finished in 2012, there have been rumours of the return of the successful show, especially given its flexible and original format. The Australian has re-opened the rumours, saying ITV are shopping the show around the TV networks, with Channel Nine a likely destination. Interestingly, “sources” say Shaun is a likely host, but isn’t locked in yet. Shaun himself has said that for him and the cast, the show was done, so not sure if this will develop further than a rumour…. Shaun was very happy with Mad As Hell season 3, felt it was a polished version of season 2. I asked if he’s become more comfortable with the show and he agreed, saying the show feels like it has more of an attitude about it, and that adding more writers has assisted in making it a bigger show. 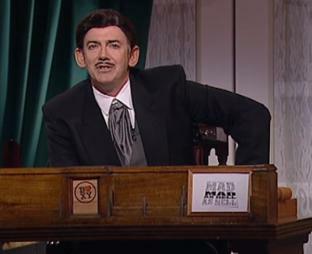 The third series was also allowed to use parliamentary footage, which made for some great zingers. I congratulated him on reaching four seasons for MAH, equaling TAYG. He agreed it’s not something that happens often for him. Shaun nixed any chance of Talkin’ Bout Your Generation returning, saying it had ran its course; everyone has gone off and done their own thing with plenty of success. The show was a good mix of being a bit niche and nerdy, but with a bigger pond of content. Shaun says he stayed neutral on the generations, and didn’t pick on Josh because he was Gen Y – it was because he was Josh. Rosanne Barr did an international pilot version, but nothing came of it. 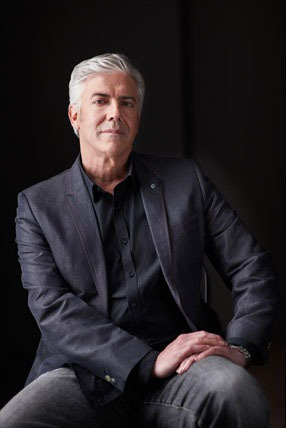 With the Micallef Tonight imagery and music appearing in Mad As Hell and Mr & Mrs Murder, I asked if 10 years made him more nostalgic about the show? At the time, he couldn’t watch the episodes again, but would have another crack if the opportunity came around. He felt the New Year’s Eve special (on Channel 10 in 2009) demonstrated the concept had passed by, and couldn’t be revisited. The sign was rescued from Channel 9 when they sold their Bendigo Street studios; it looks good, and there is no where else to put it. Gary (McCaffrie, his writing partner) wrote the jokes for ABC’s New Year’s special; Shaun just delivered them when they couldn’t get anyone else. He wishes they kept some of those jokes for MAH! He’s been asked on Q&A, but declined because he doesn’t really live and breath the news when MAH isn’t on. He watches the SBS news usually. More to reveal from our chat with Shaun! The show that really reminded the mainstream audience on how good Shaun really is might be in the rear-view mirror, but that doesn’t mean it’s forgotten. 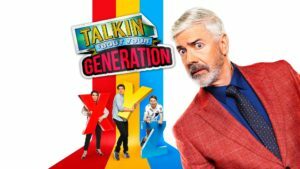 Seasons 2 to 4 of Talkin’ ‘Bout Your Generation are available to purchase through iTunes (albeit at a cost of AU$136 for all 54 episodes). Also on iTunes is Mad As Hell Season 1 and Season 3 (but not Season 2) and Shaun’s Who Do You Think You Are episode. His ‘Quiet Word’ with Tony Martin is also noticeably absent. Stephen Hall is one of the writers on Mad As Hell, not to mention a number of Shaun’s other shows, an actor, and really nice guy. Last year, he gave me some of his time in the hallways of the ABC for a chat. 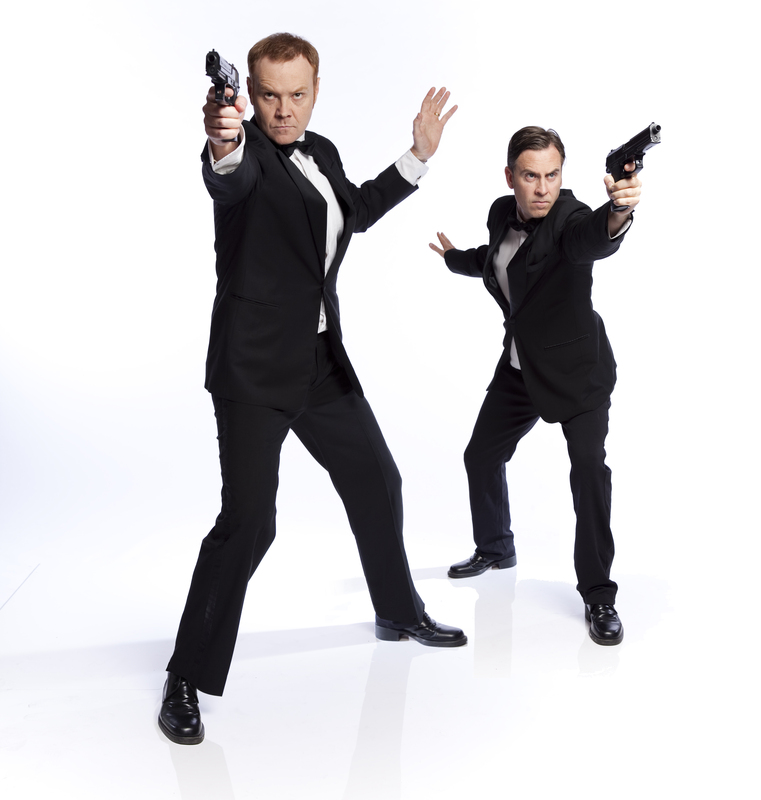 Before we began, Stephen indulged me in a “nerd-off” on the topic of James Bond – he being one half of the team behind Bond-A-Rama. We came to agreement that “The Man with the Golden Gun” had one of the worst theme songs. When that was done, the questions began! Me: I was going to ask if the writers ever get to say any lines, as previously you’ve appeared twice [in Mad As Hell], but tonight’s episode (Episode 9) that was proved wrong! Stephen: That character is called Lionel. He was carrying a lot of toilet paper around. You noticed that did you? It got more and more (in the shot pieces) – was that me? No, I think that was Lionel. The people in Glenhuntly Road (where the vox pops are shot) must think there’s some strange characters around. We got looks, and people stood around. I’d be more worried if there weren’t looks – it’s not New York, it’s Elsternwick ladies and gentlement. I didn’t know what voice to do, because I didn’t think he was ever going speak. Shaun said make it counter to what we think it’s going to be. So I made it after Noel Coward or Lionel Barrymore. Named after Lionel Barrymore actually. So they named him before the voice? He was always called Lionel. He always had a caftan. Always had a WW1 flying helmet. That was Shaun writing that for me to do – as a mark of respect. How does the writing process work? There’s five of you…? Yes, there’s Shaun, Gary Mcaffrie, Michael Ward, Tony Moclair and me. Gary and Michael are on five days a week, Tony and I are on three days a week. Tony, Gary, Michael and I share an office, and we sit at our computers and write. We read the news everyday, and watch the news everyday and try to think of funny stuff that’s happening, in the various formats of sketches for the show. We email them to Shaun, print it out and put it in the script box at the same time, and he has the final say on them. You were involved in [the writing of] TAYG as well, and Newstopia too? Yes. Gary and Michael have written with Shaun a lot longer than I have; Gary and Shaun have known each other since they were teenagers. [Gary] was the foot in the door [to the industry] for Shaun I believe. I first met Shaun in 1996 on Full Frontal, where Wardy and I both started in Melbourne professional comedy writing. Wardy had been in Canberra before that, doing breakfast radio. Canberra’s 92.3 Kook and the Bambino in the Morning – I just made that up. It sounds like something it would be. How is writing for TAYG different to Mad As Hell? Were you involved in the questions, or monologues? It’s a different beast. There was [writing for] intros and outros, and bits where we had other people coming in and fanciful conversations with Hello Kitty. And the end game envelope delivery, ideas for those. 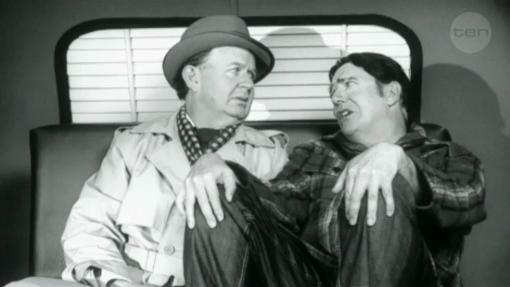 We alternated – Wardy would write the script one week, and I the next and send it through to Shaun. As on this, he was the final arbitor. The content of the games was largely dictated by the producers of the show, and if we had ideas we could slot them in, but everyones ideas were listened to. It was a group beast. Our brief was to write the gags for Shaun, within the structure of the show. Trying to say the same thing different ways, hundreds of times. Do you find the process of writing for TAYG different to Mad As Hell? It’s the same people, which is really nice, and a lot of the production team are the same. It’s very different content, it’s much more challenging as it changes every day, and there are days when we look through the newpaper and say “for goodness sake, can’t something usable happen in the world.” And, it’s difficult to make jokes about death and destruction, so we shy away from those things. [If they’re] absurd, pompous and basic wankery – there’s always a good time. Tony Abbott’s hair net tour is a case in point. Other people would be familiar with you in your acting, such as in The King or on stage as well, and you do a lot of writing. Do you have a preference? I’ve had a lot more work writing than acting, acting is tougher, and as I have a certain look which people don’t always think of me [for roles]. With writing, it doesn’t matter as much. Things lead to other things, as much of you do something and do an OK job, and people think for you for the next thing and they contact you. But acting not so much, in my experience there’s no such thing as a big break. You think “this will lead to other things”, but it hasn’t happened so much. For me, and my particular “journey”, I’ve had a lot more work writing than acting. But having said that, acting’s much more fun. 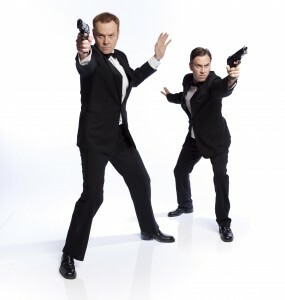 Ideally it’s great to do stuff you’ve written, which is why Bond-o-rama is fantastic, because Wardy and I wrote it together, we gave me the really plum roles. How else am I going to get cast as Sean Connery? Thanks for your time Stephen – we look forward to seeing your appearances during Season 2. 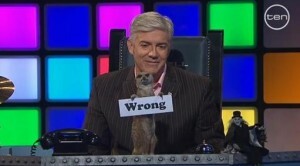 The whole purpose of Stewart was a set-up for when Kat Stewart was going to be on the show – Shaun could introduce them to each other, and repetition would ensue. He actually did – on the March 22nd 2011 episode. Shaun did his best Charlie Chaplin before the opening credits of this, the penultimate episode (as recorded – but the last aired?!). The guests were DJ Carl Cox, Comedian Bob Franklin, and Radio Personality Veronica Milsom. Shaun and Bob talked some guff before the first game, Name That Tee. In Junior Masters, interpretations of classic “master” paintings by kids had to be identified, as well as the artist. The sheer quick-ocity of As Quick As was experienced, with the toaster all loaded up and ready to go. Charlie queried what happened to the kettle they used to use, and Shaun informed him that a toaster seemed more sensible. The four celebrities in the magic window all have a license to drive a forklift: Aaron Badley, Korg, Gandhi and Jean Michel. BB picked Jean Michel, playing What Just Happened? Shaun (as Marlon Brando’s character) and Francis Greenslade (as Rod Steiger‘s character) played a scene from On the Waterfront, with the expected “modifications”. Gen X went for Korg – ¡Chronoloco! The items were all “As seen on TV” and Bob went through each, mainly describing and demonstrating them incorrectly, but humorously. Gen Y decided on Aaron, which was Who’s Your Mummy? It looked like Josh and Veronica were going to have to pass, but with a bit of prompting the guessed correctly – young sailor Jessica Watson. The Your Gen round was worth two in the bush – Birds! The end game challenge was to find Which Generation Is Best at Shoveling Ectoplasm into a Toilet. Gozer has been reigning terror on the city, so the teams had to clean up before Mr Peck inspected. As the teams tried to shove the goop, the toilets spontaneously “exploded” it back out. It was Gen X who had shovelled the most, winning the World’s Best Daughter trophy donated by (the mother of) Natalia Nespeca. 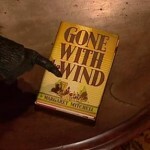 Tonight, Talkin’ ‘Bout Your Generation was Gone With The Wind! It was the unofficial last episode, and the guests, set and Shaun were all dressed for the American Civil War era. The teams were all dressed as characters from the book, mostly Scarlett O’Hara and George Wilkes; Shaun himself was Rhett Butler. Deborah Hutton joined Amanda on the Baby Boomer team, Matt Lucas and Charlie on Gen X and Christie Whelan with Josh on team Gen Y. 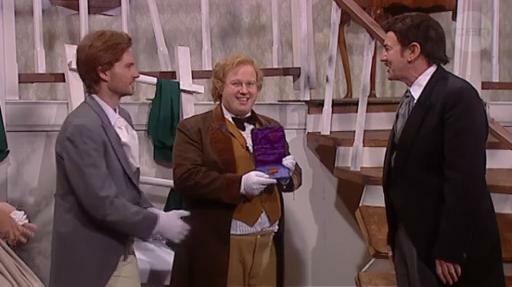 When Shaun found out Christie had been nominated, but never won a Helpmann, Shaun proclaimed he never wanted a [Gold] Logie; Carl Stefanovic could have it. Shaun and Matt shared some mutual admiration – Matt had come to be on the show solely based on his love of The Micallef Program. First up was Cinematic Smart Alec, where a single frame from the opening credits of movie was show. Despite Matt’s limited movie knowledge, he picked most of them. When it came to What Ya Talkin’ ‘Bout Willis?, Josh and Shaun entered an argument on if some of the sayings were actual sayings, or just rubbish taken from Urban Dictionary. For the magic window, all the buttons were roles Michael Ward has played through the last four seasons: Dracula, Santa, Mr. Spock being attached by a woodpecker and General Mccarthur. Gen Y chose Mr Spock, which was Draw That Book. Gen X decided on Santa, playing Who Am I Doing? Matt did the impersonations, with Shaun “helping” and encouraging. BB picked Dracula, playing Crate Expectations – a crate version of Whose Baggage Is This? 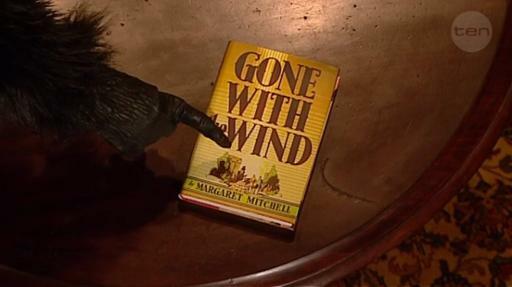 The Your Gen topic was Wind! In the end game, Tara (the set/house from Gone with the Wind) had been destroyed, so the challenge was to find out Which Generation Is Best at… Building a Grand Staircase. The teams used parts of the set to mostly build ladders. Mad as Hell and Talkin’ ‘Bout Your Generation return mid-2019. Got some news or info to share? Then send us an email, post haste!